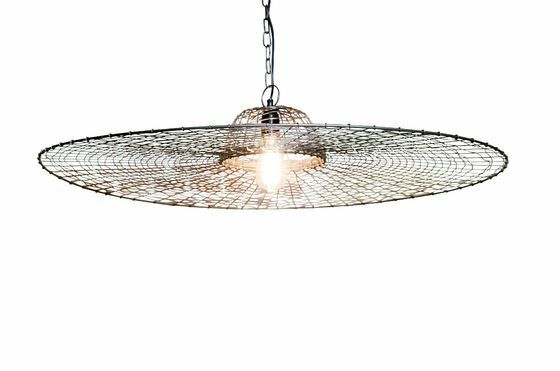 Thanks to its structure, lightness and large diameter, the Grid suspension differs from any other type of luminaire and is part of our selection of original chandeliers. This suspension is made entirely of woven metal to form a kind of grid. The disc is topped off by a small cover in which the plug is located. A metal chain and a beige braided power cable connect the unit to a lightly gold-plated brass metal cover for installation in the ceiling. 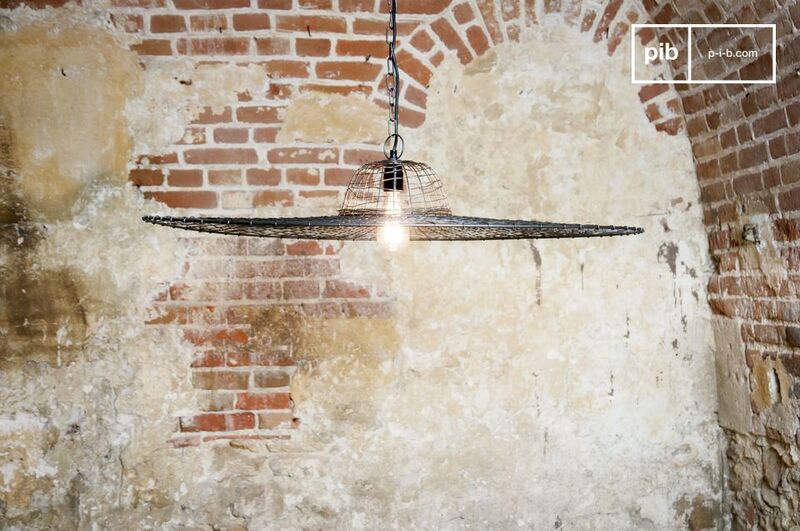 Thanks to its elegant appearance, the Grid suspension will find its perfect place in a large old-fashioned home kitchen, rather than in a more fashionable industrial environment or in a minimalist style of loft. 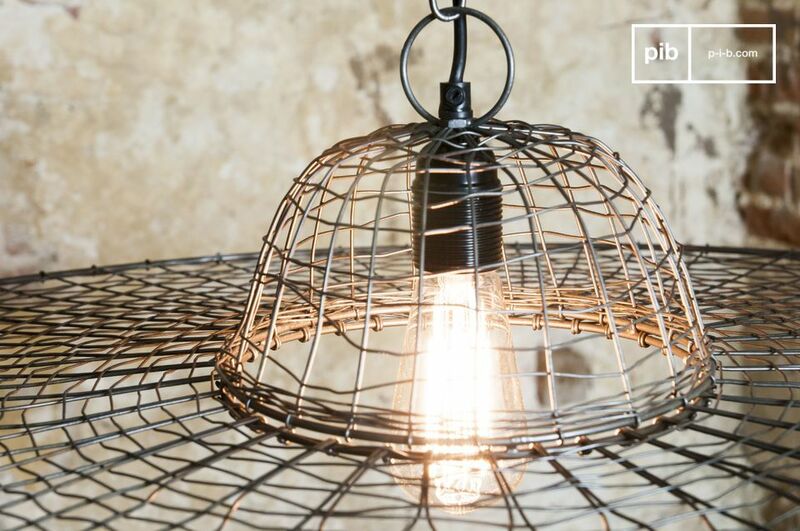 Suggestion: Use the Grid suspension with a vintage filament bulb to highlight the retro look of the lamp and add a touch of style. It works with an E27 bolt-on bulb with a maximum power of 40 watts. Very original and of high quality. We brought it in to compare it to a more classic one and we kept both. 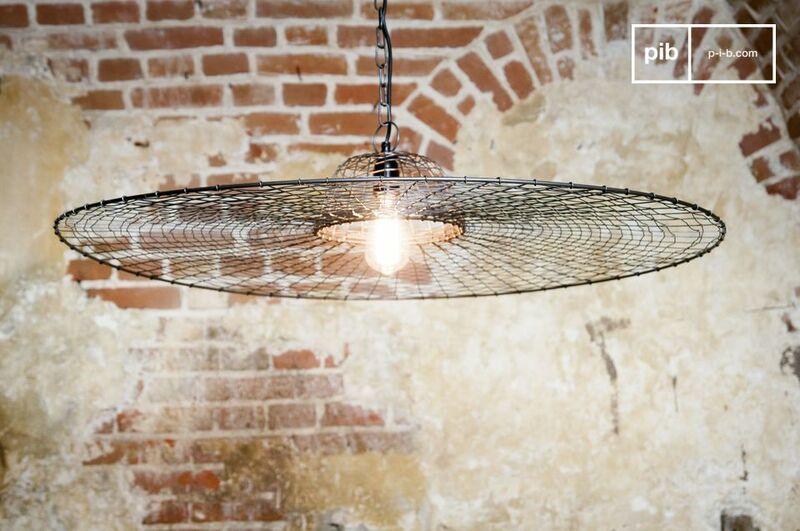 The choice of this ceiling lamp may seem daring but it really has the most beautiful effect.